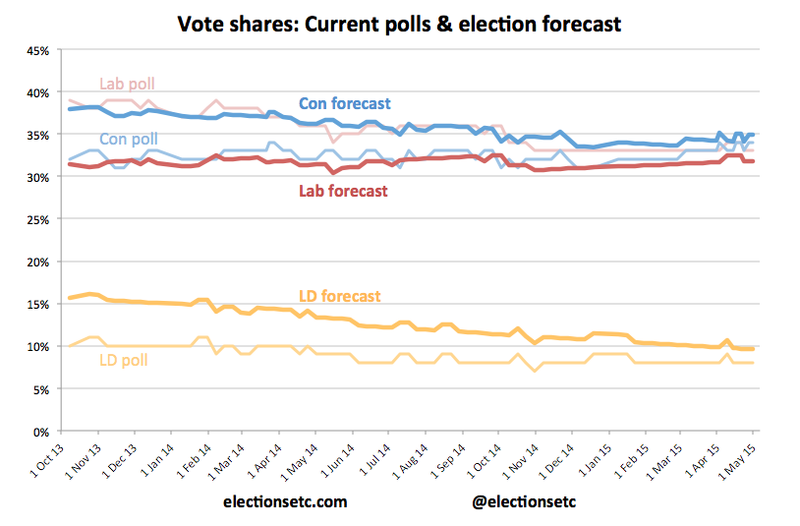 Less than a week to go, and we still make Cameron and Miliband pretty much 50-50 to be Prime Minister. In our polling average, the Tories stay on 34%, a point ahead of Labour, while UKIP are down a point to 13% and the Lib Dems are still on 8%. There’s not much change in the forecast since Tuesday. 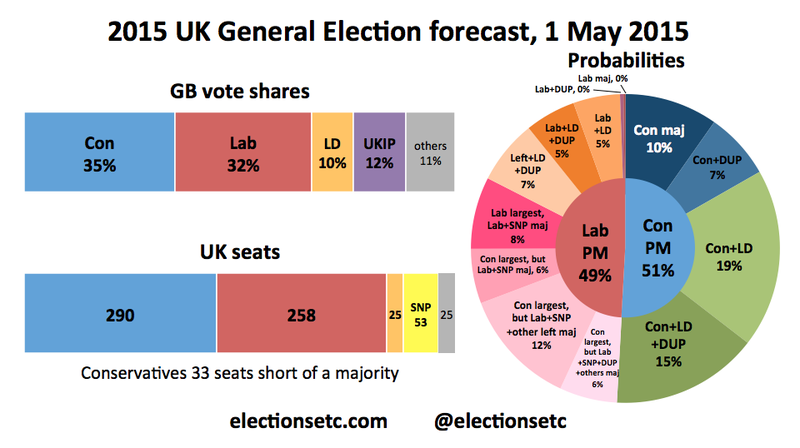 Our model gives a 90% chance of a hung parliament, a 10% chance of a Tory majority and just a 0.2% chance of a Labour majority. The Conservatives are likely to win the most votes (78% chance) and most seats (75% chance), but we only give them a 51% chance of being able to form a majority alone, with the DUP, the Lib Dems, or both. We give Ed Miliband a 17% chance of being able to form a majority without having to rely on the SNP (with the Lib Dems, the Lib Dems and the DUP, or the Lib Dems, the DUP and the other left-wing MPs). The chances of a Labour-led government that is reliant on at least tacit support from SNP MPs is 32%, giving Miliband a 49% chance of ending up in Downing Street overall. 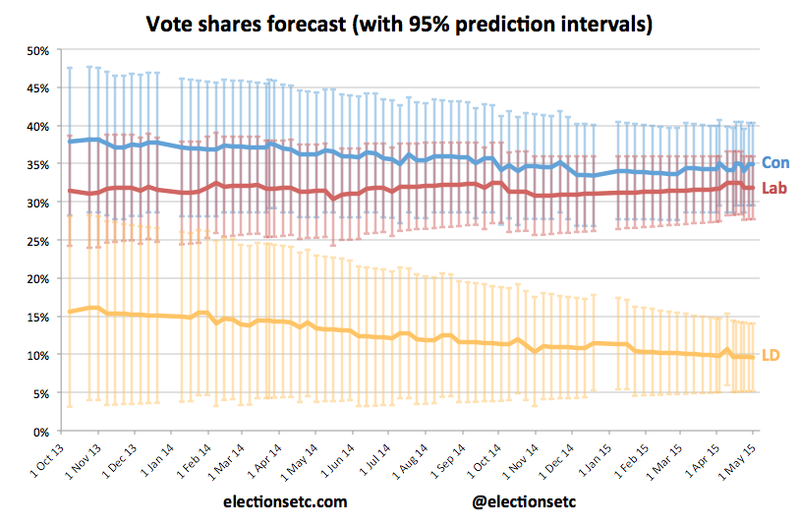 Our central forecast has the Conservatives winning 290 seats. If they could get the support of the Lib Dems’ 25 MPs and the DUP’s 9 (for a total of 324), that’d just be enough for the slimmest of majorities in this scenario.